Please click on the link to view to view Ronnie Rogers, “Diminishing the Creation and the Creator”. Why the double-talk? As mentioned on several occasions throughout the book, within Calvinism there is a problem of what I call double-talk. By the use of this term, I am not implying immoral or clandestine trickery. Nor am I suggesting conspiratorial deceit. I must admit that upon reflection on my time of being a Calvinist, I did the same thing. I did not do so out of ill motive, intent to deceive, or because of a lack of desire to be faithful to the Scripture—nor do I so impugn my Calvinist brothers and sisters. What does the text not say? Neither (13:8) nor any other references to the book state the deciding factor of how names came to be in the book. 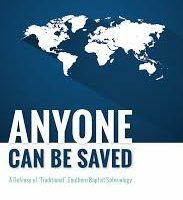 Calvinists treat the passage as though it does state the determining factor, which is God’s determination to elect some to salvation, and therefore record their names; however, it does not. The Lamb’s Book of Life: Who’s In and Who’s Out? I affirm that the “Lamb’s book of life” contains all the names of those who have or ever will be saved. I also affirm that the names have been written in the book since eternity past (Revelation 13:8). I further affirm those in the book are there because of exercising grace-enabled faith unto salvation and could have done otherwise, and those not in the book could have been there by exercising grace-enabled faith.